The 27th edition of the annual B2B Broadcast India Show will be held from 12-14 October 2017 at Bombay Exhibition and Convention Centre, Goregaon, Mumbai. The three-day trade fair will witness the leading participants from across the globe present a wide array of products and technologies for the broadcast, television, film, audio and radio industry. For over the last two and a half decades, the Broadcast India Show has positioned itself as the single most interactive platform that showcases on one hand, the paradigm shifts in infotainment technology across the globe and on the other, allows technology seekers to connect with the innovators and experience the marvels first-hand. As per a report published by FICCI and KPMG, the media and entertainment industry in India is poised to grow at a CAGR of 14.3 per cent to INR 2260 billion by 2020, led by advertising revenue which is expected to grow to INR 994 billion at a CAGR of 15.9 per cent. By 2020 the digital advertising market is also likely to scale up to INR 255 billion and contribute to 25.7 per cent of total advertising revenues. Increased share of mobile and video advertising as part of digital media is one of the things to look forward to as well. Kavita Meer, Project Consultant, Broadcast India Show 2017 is confident that the event this year will be the biggest ever done till date. 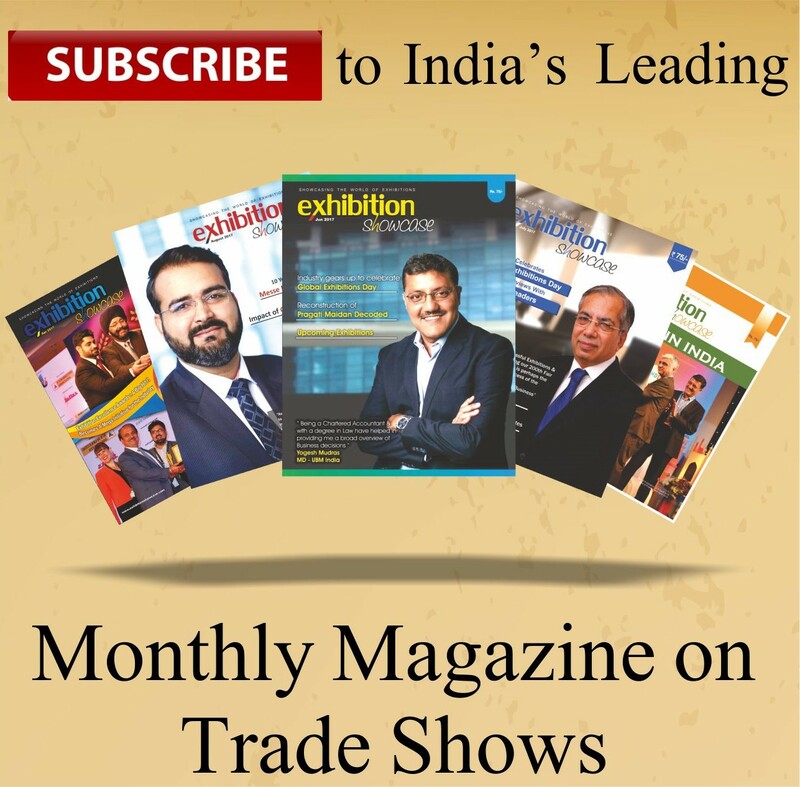 “Broadcast India Show has always attracted the key influencers and decision makers of the industry. Last year over 20,000+ global professionals made their attendance at the event. From content creation to its management and delivery, Broadcast India Show 2017 presents an entire gamut of products and solutions catering to the entire scale of the broadcast and film industry. Organized by NürnbergMesse India, the expo is poised to attract over 20,000+ professionals from across the globe with over 600 brands displaying cutting edge technology and solutions. Along with the broad-spectrum event, the Broadcast India Show 2017 will simultaneously facilitate a 2-day conference that dives right into the nitty-gritty of content. It will invite CEOs, directors and proprietors of companies along with engineers, technicians and technologists to conduct an array of technical presentations, product promotions and in-depth discussions. Some of the leading brands who will be displaying their products are Blackmagic Design,Sony, AVID, RED Digital, Canon, Datavideo, Ross Video, FOR-A, Grass Valley, ARRI, Atomos, Carl Zeiss, Panther, Seagate, On Air Asia, AJA Video Systems, Playbox, IHSE, Primestream, Ikegami, Hitachi, Monarch, Netweb and Sennheiser among many others. Commenting on the Broadcast India Show 2017, Eddie Udagawa, Vice President – Consumer Imaging & Information Centre, Canon India, said, “Broadcast India Show is a premium platform for the industry to showcase the latest technology to the technocrats from all over the world. After receiving overwhelming response over the years at the Broadcast India show, we are expecting a heightened consumer connect for our products for this year as well. Keeping with this year’s theme of showcasing the next-gen broadcast technology, we will be showcasing our latest flagship main stream Cinema EOS camera C700, for motion picture industry. We would also showcase Cinema EOS C200, a revolutionary video camera with inbuilt 4K Raw and high frame rate capabilities. The Broadcast India Show 2017 from 12-14 October, 2017 will be spread over 1,00,000 sq mtrs and will serve as the trend setter as well as be testimonial to the largest gathering of professionals from the broadcast Industry. About the NürnbergMesse Group NürnbergMesse is one of the 15 largest exhibition companies in the world. The portfolio covers some 120 national and international exhibitions and congresses and approx. 40 sponsored pavilions at the Nuremberg location and worldwide. Every year, around 30,000 exhibitors (international share: 41%) and up to 1.4 million visitors (international share of trade visitors: 24%) participate in the own, partner and guest events of the NürnbergMesse Group, which is present with subsidiaries in China, North America, Brazil, Italy and India. The group also has a network of about 50 representatives operating in over 100 countries.